Pay TV Industry: Yes, Cord-Cutting Is Accelerating, But It Could Be Worse! Not that long ago, cord-cutting was seen by many in the pay-TV and cable industry as a bogeyman, a spooky ghost dreamed up based on fringe behavior by a small number of millennials and other malcontents. With every passing quarter, however, that behavior becomes less of a bogeyman and more of a painful reality—and the latest survey of cable subscriber numbers has a little something for both sides of that debate. The research firm MoffettNathanson, which tracks U.S. pay-TV subscriber numbers, has just come out with its third-quarter results, and they show a continued steady decline in the number of households that subscribe to conventional cable services. The bottom line: Pay-TV providers lost a little more than 350,000 subscribers in the last three months. That’s more than twice what they lost in the same quarter of last year. So, plenty of ammunition for the cord-cutting triumphalists. In other words, streaming services like Netflix (NFLX) and Hulu and Amazon Prime Video (AMZN) are still winning viewers, and traditional cable services are still losing. In some cases, the decline is massive: Once you factor out the launch of its Sling TV service, Dish Network lost more than 175,000 subscribers in the third quarter. That’s twice what it lost the previous quarter, and by far its worst performance ever. 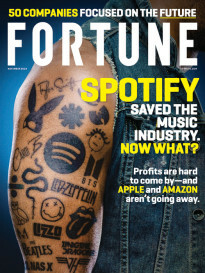 There is a shred of hope for pay services to cling to in the MoffettNathanson results, however: Namely, the fact that the third-quarter figure was substantially better than the 605,000 fewer subscribers the firm reported in the second quarter of this year, news that helped to trigger a sell-off in television-related stocks. Why the difference in the two numbers? That’s difficult to say. It’s possible that more pay-TV subscribers got rid of their service at the end of the traditional TV season and decided they would make the jump to streaming. It could be that the decline is lumpy for a host of other reasons, or the reporting from pay-TV providers is clumped together in ways that made the second quarter look worse. Regardless of the lumpiness, however, the trend is obvious, and growing. 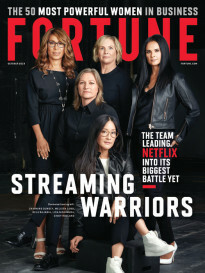 Cable companies like Time Warner (TWX) are offering “slim bundles” to try and keep at least a little bit of the revenue they are losing from cord-cutters, and a number of broadcasters are launching their own digital streaming services to try and compete. In many cases, they also benefit from streaming because they are Internet providers.